Generate more business, increase sales of your restaurant ... The aim of all. How to do it? 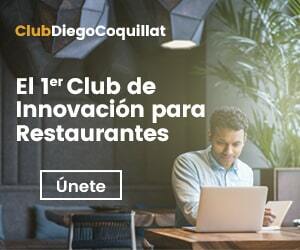 There are many ways but certainly today you can not marcarte no purpose if you have a good before and personalized web showing the best of your restaurant. convey experiences your customers is essential for the satisfaction generated is exceptional, how to do it? From the beginning, from the reservation itself or option ask for home through a nice website, current and to transmit everything then they will find when passing the door of your local. Your website is definitely, a powerful tool for generating business. Currently, a website is absolutely essential for every business no matter what your activity. As has been said and securing large experts: If you're not online, do not exist. And is it really so. Today you have to have a page absolutely personalized web to transmit the values ​​and essence of your company and also, Get your customers have a wonderful experience even before you get to your local. Your website is that first showcase that everyone will look and you will convince them or not for a second term, choose your restaurant for his date (whatever it is). Because, not worth making websites Encapsulated, or template, or basic or that are not "fashionable" (digitally speaking). You have to bet strong by having a website "category". If you have a great website, you've got a high percentage of success in your campaign and brand image as, the target of Increase Your Sales (without forgetting the saving on commissions of third-party websites particularly in order to address). Today we are all glued to your computer or mobile to see what's happening in social networks (the large space of the dining experiences) your restaurant does not have a web customizes is back 40 years in time, work with very rudimentary methods and also, stay very ousted from the competition. 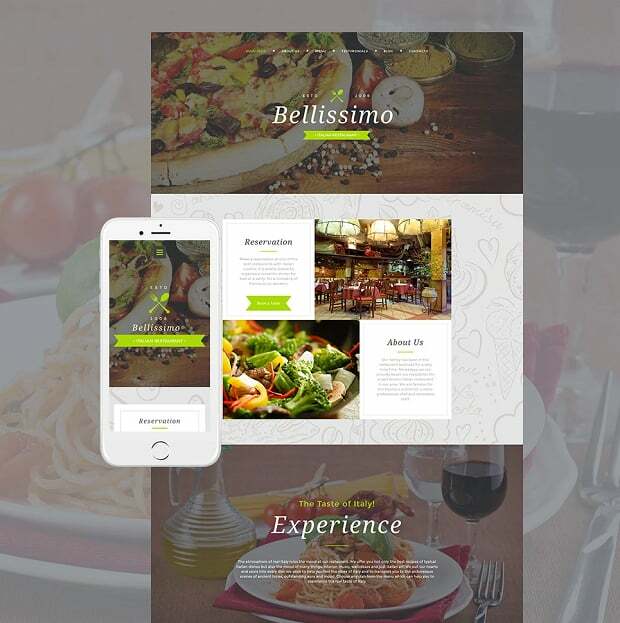 How should the development of the website of your restaurant? First and above all things ... PERSONALIZED! It is the website of your business, your company and should be absolutely made by and for your company. This means you must breathe in each area and space the essence and values ​​of your restaurant. must offer, in a single glance and quickly, the fundamental and necessary to convince all your prospects both, left no other choice but to make a reservation or place an order for house. Your website should always, at one blow, to convince. For it, invests in design and realization a professional web. Do not play having in any way a web because it would be even worse than not having it. Imagine someone coming into your restaurant and dirty, Without fixing, all through ... It's the same feeling that will cause your visitors to have a web botched, ugly, cared little without updating. So the first thing to do is to understand that having a personalized web It is an investment and not an expense. Once you have included in your business plan the investment item "Web design and implementation" O "Web redesign" (if you already have a page made) it's time to choose who is going to carry out. perform excellent design responsive to the bases of the corporate image of your brand: colors, typefaces, styles ... And everything is balanced and in perfect harmony. User Experience: for a web work should be all placed strategically and also thinking and considering usability criteria (all is well, easy and fast to prevent leakage of visitors), commercially attractive (know where to place the Call to Action and novelties such) and that is also appealing. Texts: copys currently have far greater importance, must engage the user and generate you need to consume what you offer. Responsive - dynamic for all media: Besides, your website must be optimized for all media that are used today: computer - desktop, mobile, tablets ... Without that "vandalize" design it so attractive regardless of where they see. Optimized for Seo: Of course, If you do not do a good Seo to your website, you'll be pulling almost all investment in the trash. It is labor intensive; if not known, complicated and vital. Ordering Payment Gateway: If your restaurant makes orders at home or have delivery service, it is imperative that you include in the web a payment gateway to make the whole process. Could you do and run all these features in your project? Certainly not to the level that your business - restaurant needs. Because, It is better to invest in a professional who knows how to make your customized website. You want your company - restaurant has the best website that may exist, but besides being beautiful - elegant, functional and modern, your website should always be focused on helping your business grow, to go to another level and is an engine that works tirelessly to increase your sales - reservations. Because, as we said, The best thing to do is find a specialist restoration sites but also to perform in time and form the personalized web page your restaurant. In Klikin we know what we talked about is that not only have to know how to make websites but of course, must know by heart the catering sector and how it should be reflected in an environment or site online. In Klikin We work with a web production team - designers - creative and professional designing and restaurants run custom for restaurants that convey the essence of business websites, Convincing your future client needs the experience of going to taste your food and safe, It will be something they want to repeat very soon. further, we create transactional websites including payment gateways for service delivery. A service offered from your own website will help you increase your sales without significant losses commissions to third parties (websites food delivery). Because trust someone who knows and does not dilate the project is undoubtedly, the best investment you can do and your website, you need. How would it showcase your restaurant? There you have the key. Ceo de Maryenk, marketing and communications agency for startups and SMEs from different fields and business areas, specializing in tourism and catering. We believe that the Inbound Marketing and generating quality content is key to the successful positioning of any business in the online environment. We work from the firm intention to always provide an extra quality and creativity.